We were humbled to hear that this year’s Fiesta del Pueblo was the largest ever recorded in downtown Raleigh, with over 28,000 in attendance. we’d like to thank the artists, food vendors, nonprofits and bands who participated, as well as the dozens of volunteers who helped make this one of our all-time favorite iterations of #LaFiesta del Pueblo. Stay tuned for next year as we prepare to celebrate the 25th anniversary of the largest Latinx festival in the Triangle! Check out a full breakdown of the numbers for La Fiesta del Pueblo 2017. 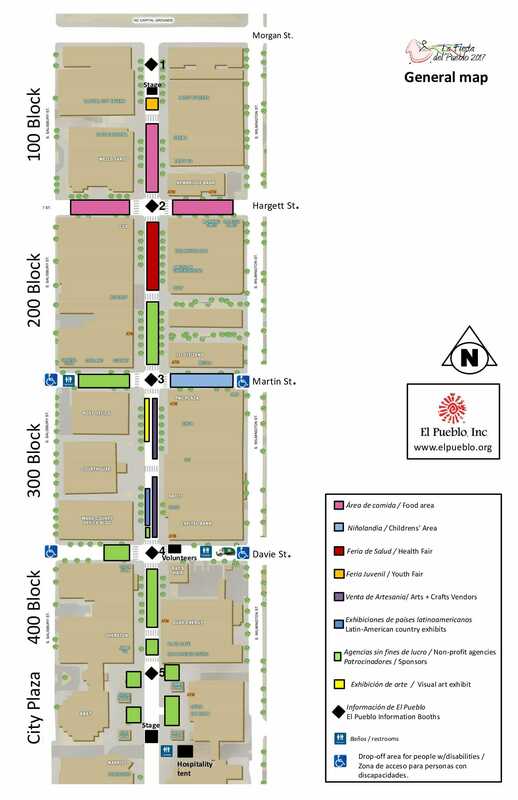 Questions about accesbility for La Fiesta del Pueblo? Visit our Accessibility Guide for detailed information on parking, drop-offs, stage viewing and much more! Libertarian Party of Wake Co.
Autism Society of North Carolina, Inc.
El Pueblo – all funds raised from this booth support El Pueblo’s work!